Change isn’t easy, but it can be necessary. For Highland Brewing, the second-generation had already taken over. 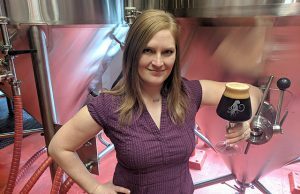 But now Leah Wong Ashburn, who took the brewery’s reins as the company’s president from her father — founder Oscar Wong — in 2015, has helped shape what she hopes can be the future of the nearly quarter of a century-old Asheville, North Carolina institution. Founded in 1994, the brewery made 43,000 barrels in 2017, which placed them 72nd in the country and the 10th largest in the South by volume. In the brewery’s begining, Oscar Wong wanted to honor and portray the Scottish heritage of the area they called home in the Appalachians of North Carolina. Tartan on the bottles with a bagpipe holding bearded man was the crest of Asheville’s first craft brewery. Yet, when polled, consumers, retailers and even the Highland staff never thought “Scottish” when asked what Highland was all about. So Wong Ashburn looked to close the divide she felt that the brand was creating. 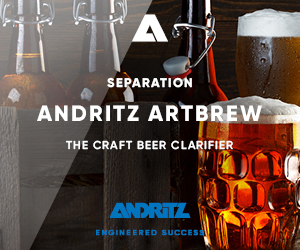 “We wanted to clear out the confusion … and close the divide between the beer and the brand,” she said. 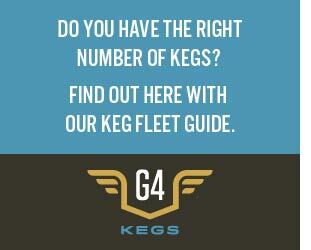 “We did that by focusing on the fact that we’re Asheville’s pioneering brewery. We’re still creating a path, we’re still doing great things and Asheville is our home. Highland debuted its new look in February of 2018 after working with Austin, Texas’ Helms Workshop. 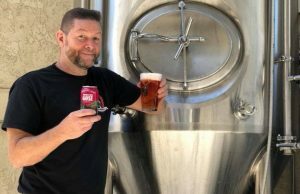 The new imagery includes the Blue Ridge Mountains, a suggestion of a pioneer’s compass and a clear message on the product that Highland is Asheville’s first craft beer. That came on the heels of a slight brand refresh in late 2015 when the brewery also added canned products. The most radical change has been to the brewery’s logo, which goes from the Scottish man to a compass-like cross with a white “H” in the middle, Highland’s name around it and a multi-colorful background. With the internal branding team Wong Ashburn said she tried to make it seven or less people. “Well, I failed there with 10 people,” she said. “So we had several meetings with Helms and we would either chat electronically or they would visit and all of us were interviewed and they sorted through all that information to get to a core positioning statement for our voice. To do away with the larger branding team, Wong Ashburn explained to them with two pictures: a horse and a camel. It’s a small sample size, but a six-week marketing campaign helped introduce the new look to consumers. 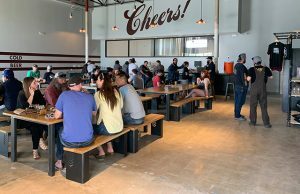 Wong Ashburn said brewery reps and distribution partners traveled around for a month and a half to touch as many as 2,000 accounts in 15 markets. “One of their folks and one of our folks in a car … going around two to three days in each market, which made it very, very successful,” she said. “We got to tell the story personally, and that’s the best way to do it. Distributors also got to hear us tell it, which is the best way for them to hear it as well. One of the things that encouraged Highland to do the launch was hearing from their distributors. The process started in earnest at the 2017 Craft Brewers Conference in Washington DC. Wong Ashburn joked that the process started before that, but it basically came down to a small group talking and then kicking the can down the road. But at the 2017 CBC, Wong Ashburn and her team went around to every branding company that was there. “I got recommendations and called some industry friends — even friends of people on our staff,” she said. “From there we did proposals with some people and got more serious by talking to some over the phone and then narrowing it down. It ended up with us working with Helms. That tie being that Helms owner, Christian Helms, spent nearly every summer of his life in the Asheville area of Black Mountain. He knew of Highland well. When Wong Ashburn met with Helms she said she knew there was a connection that would work. She pointed out that using an outside company helped streamline where Highland would go in terms of looks. Nothing they had thought of came out of initial concepts internally. Instead of giving Helms a concept, the Texas company asked for verbage of what Highland meant. That’s where Wong Ashburn noticed consumers, retailers and even her own staff where not saying “Scottish” when asked what Highland mean to them. That’s how the disconnect became apparent. “Their job is to mish-mash all of our inputs,” she said. “They interviewed people in Asheville — people that that don’t work at Highland. 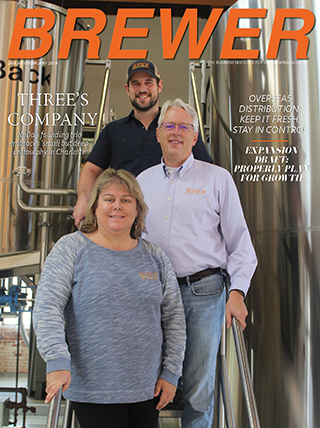 At the same time, the brewery had a team to discuss branding, including new and older tenured employees. Since they began as a distribution brewery in the 90s, and the strategy for many breweries now is to focus on their home market with deeper distro and selling its beer in its taproom, Highland is using this refresh as a way to focus on the home base as well, which is tucked just outside of downtown Asheville on 40 acres. “Now, maybe [a brewery] will get into distribution. It’s not a good time to get into distribution now,” Wong Ashburn said. “I am thankful that we are going in the opposite direction. We have so much that we can do better at our hilltop [location], where we got this huge building with 40 acres. We’re going to build trails. We’re going to build more of an experience. It’s going to be beer first but it’s also going to be a place to take a walk in the woods, she noted. The brewery closed for four days to renovate the taproom and transform into the new look. “Four days was not quite enough time to do everything we want to do,” Wong Ashburn said with a laugh. “But we’ve got the major stuff done. We really changed the look and feel and it was so much fun to do that too because putting in good lighting and more comfortable seating — some cozy areas — was important. Branding was added to the shipping containers which double as offices in the backside of the taproom with painting done by a local artist. “We are really proud to have another connection to the community that way,” she said. “Decent signage is expensive, so we are a third of the way through that. The on-site piece is really important to Wong Ashburn. Adding to the future legacy that Wong Ashburn is creating includes new projects. Although she didn’t divulge details, the emergence of popular styles like hazy IPAs and barrel-aged projects have shown that even older entities in the craft beer world can capitalize on trends that have been set by an ever-searching base of consumers. “We have great beer programs that haven’t come out yet that are cooking away,” she explained. “We are so excited about what we have internally, but we aren’t going to release them until we are okay with the high-level of quality we have.